Whereas picking a drummer was easy for me, the list of possibles to hold down the bottom end whilst Keith Moon did his manic best was considerable; Moon's band-mate John Entwistle, John Paul Jones, Geddy Lee, Chris Squire, Cliff Burton and more. However my pick is not only a consummate musician, but one of the greatest songwriters of the last 60 years. He could also do a decent line in harmony vocals. Paul McCartney might not be the obvious choice, but go and listen to some of his playing on those Beatles songs. If the Beatles are the greatest group of all time, then how can the best musician in that group not make the ultimate supergroup? With Moon on drums, this group doesn't need a flashy player, but someone who will play with the band, whilst at the same time elevating those around him. 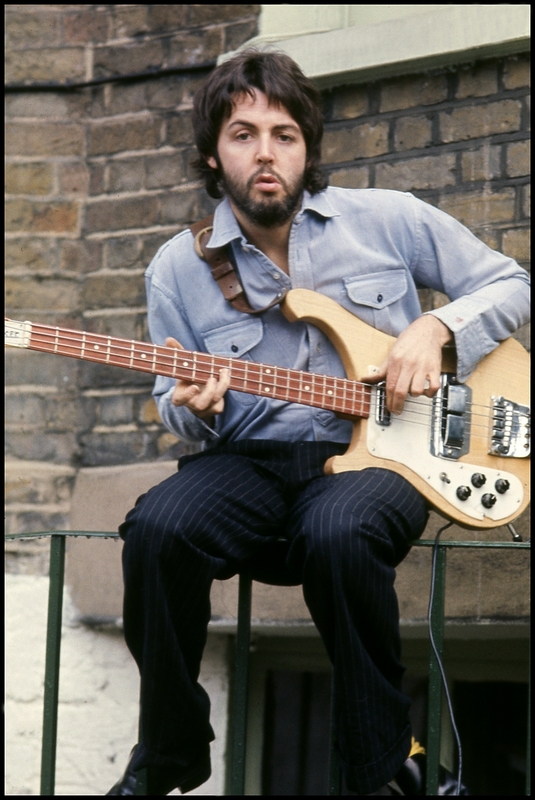 Someone has to write the tunes, and only a fool would dispute McCartney's songwriting abilities. Combine his innate musicality and multi-instrument proficiency and I think this is a no-brainer.